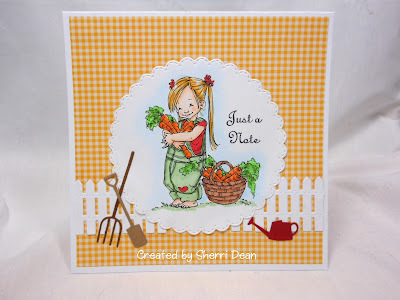 Once again, it is my turn to share some inspiration with you & today I thought I would use some of the darling garden inspired dies carried by Dies R Us for a cute note card. If you haven't browsed the store for awhile, you will be amazed at the number of amazing dies that cover virtually any subject you can imagine! 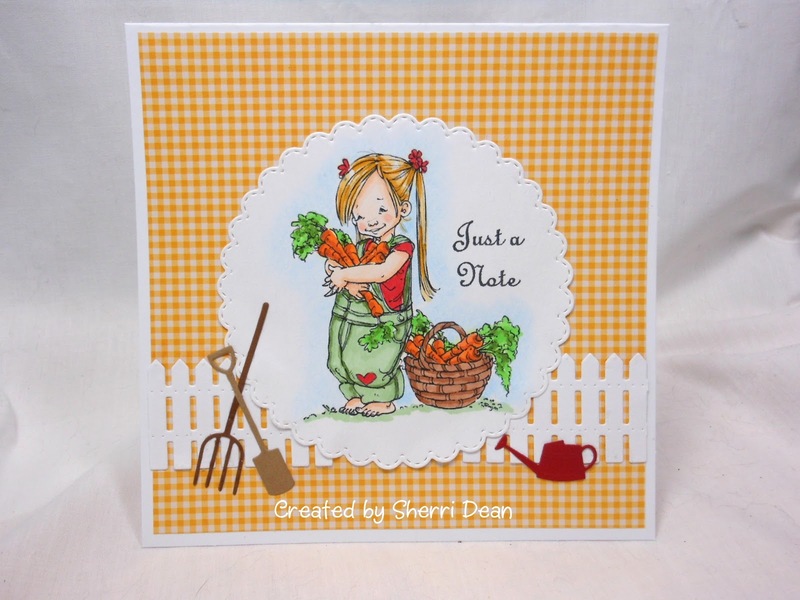 I began this card with an adorable digi image from Mo Manning. After coloring her, I added the following dies to finish: Memory Box Stitched Scalloped Circles, Poppy Stamps Greenhouse Watering Cans, Memory Box Groundkeeper Tools & Taylored Expressions Picket Fence. If you haven't gone to the Dies R Us Challenge Blog, be sure to head there & join in on the current challenge for a chance to win a gift certificate to the store! New challenges begin on the first & the fifteenth of each month!